Summer is here. Ice cream vendors and school teachers are rejoicing, but spare a thought for your smartphone - summer brings many enemies for our trusty devices. Heat is the biggest danger, but sand and water can also be hazardous. New smartphones are overheating, but who's to blame? Following the notion that prevention is better than cure, we've put together a few of the best ways to protect your smartphone and stop it overheating. Because while you can look after yourself with plenty of sun screen and regular hydration, those are techniques you should avoid when it comes to technology. Try these instead. This one seems fairly simple but there are good ways to charge and bad ways to charge. Some of these are probably listed in the long-forgotten user manual but here are some general guidelines to follow. Here's some more useful advice on how to save battery life. Firstly, make sure your smartphone is out of its case and away from anything else that may cause the battery to heat up. A battery subjected to hot conditions will not last as long as others and, in extremely rare cases, may even cause an explosion. It's also best not to charge your device for too long in the daytime heat. So, tough as it may be, perhaps just charge to 70 or 80 percent during the day and fully charge the device at night when the battery has run down. We all understand the need to seek shade every now and again in summer, but it's also important for your phone. Prolonged exposure to direct sunlight could damage the battery and the screen. Try to avoid keeping your device in a tight pocket where possible, particularly if you're likely to get sweaty. It's far better to keep your device in a larger pocket, or a bag or purse where it can keep it cool. We may love the beach in summer but it's fraught with danger for our smartphones. The biggest killers of the Samsung Galaxy S5 were water, dust and sand - and you'll always have at least two of those in abundance at the seaside. So the advice here is straightforward: use your device as little as possible at the beach. But for those who can't bear to leave a beach scene un-Instagrammed, it's worth considering a protective screen. It may not be the choice of the purist or the aesthete but a slight loss of responsiveness seems preferable to a total loss of functionality. A quick dip in the sea and a swim with the fishes (not in the mafia way) is an appealing prospect but water and phones don't get on at all. The basic advice here, again, is pretty simple - don't get your phone wet and check your pockets before you dive in the water. If you are thinking of taking your phone near the drink, invest in one of the many covers that work underwater. This gives your device protection, and has the added bonus that you can get some pretty spectacular shots. It you've followed all these tips and your smartphone still feels like it's just popped out the toaster, it's probably time to, quite literally, chill out and avoid using it for a few minutes. 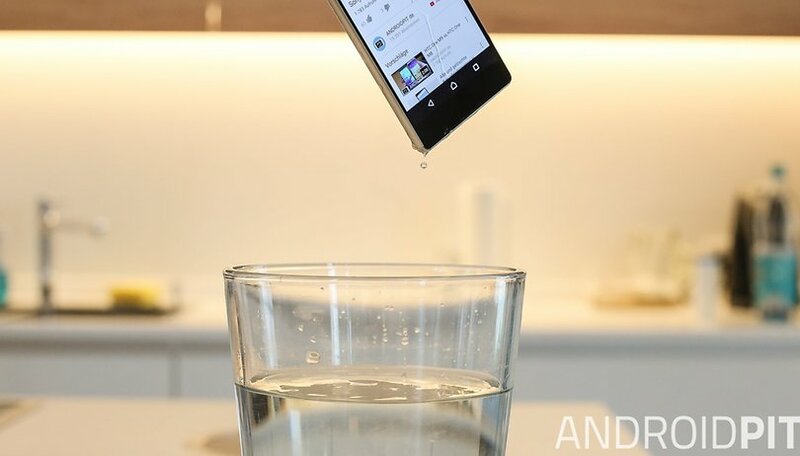 It's normal for smartphones to overheat sometimes in hot conditions but there are further steps you can take to try to avoid it. Coolify prevents your phone overheating by continuously monitoring the temperature around you and modifying the phone's systems accordingly, particularly during intensive internet use or when you use a heavy duty app. A side effect of Coolify is that battery life is increased. Win-win. Many people may be skeptical about the app, perhaps suspecting it purely closes tasks in order to free up memory but that's not the case. The developers have tweaked the concept 80 times and Coolify can now alter a device's system parameters in a number of ways, including interacting with the battery. This level of interaction will, naturally, require root permissions. For those who use custom ROMS, the app may vary in efficiency, depending on how the ROMs were developed, though Coolify is compatible with 80 percent of custom ROMs. It's also worth noting how silently it works and how little RAM it requires to run. You could almost forget it was even running if the benefits weren't so obvious. Cooling: A record of the dates and times when the app has cooled the device. Settings: Allows you to set when to use the app, whether to use Celsius or Fahrenheit and whether to allow notifications. Background: Changes the background to one of several pre-set pictures or lets you choose any picture from your phone to form their background. There's no doubt that Coolify is very effective at controlling the temperature of your devices and preventing over-heating. Smartphone manufacturers are also starting to play their part, attempting to integrate processors and hardware that produce as little heat as possible. Traditionally the most important factor in phones overheating, as Galaxy S4 users will know only too well, is the optimization software. It seems like Coolify may be able to rectify this issue, so give it a go and see what you think. All this should give your smartphone the chance to enjoy the summer as much as you do. If you have any other tips or experiences to share, let us know in the comment section below. This text is based on an article by Mattia Mercato for AndroidPIT Italy. I took the plunge with Coolify a little while back. I can't endorse it enough. My Galaxy Tab Pro 10.1 in an otterbox case now averages between 10 and 40 degrees Celcius under given conditions where I am familiar with its average temps. Higher end of the scale is during intense tasks like gaming. I rarely see it even hit 40 degrees anymore. Cool enough to keep the Otterbox on it, which I would be nervous to leave off a tab this thin with a glass screen. Pity it can't be used on my new phone due to no root exploit for it yet, though xda looks to be collaborating on making it happen. It runs a bit hot though not as bad as the tablet did. Probably would be hotter in a case, but I usually keep my phones naked as they are far less bendable. Other cooling apps are just glorified task killers, usually lousy ones at that, possibly heating things up more as services reload again and again as they are killed. Not all memory managers are bad, if RAM is tight, but there is a right or wrong way of doing things. Most of these kind marketing as phone coolers do it wrong. Do people actually dive in to the water with their cell phones? I use EaseUS CoolPhone, as it allows me to keep cooling down the phone until it's at it's coolest, just keep tapping over and over again, plus it has a lil mode switcher too. I've tried Coolify and don't like that it only allows me to cool down the phone once then nothing else. Coolify is nice app. I will try it. I prefer simple and fast app like this. Simple and fast are AppUseFree or PhoneUseFree apps from qooqle play. Apps that allow you to monitor and get real time views on how much time you spend on your smartphone. With app you will be able to see detailed time usage history of your device for unlimited time. Fast, no cpu usage, no battery drain. Verify.